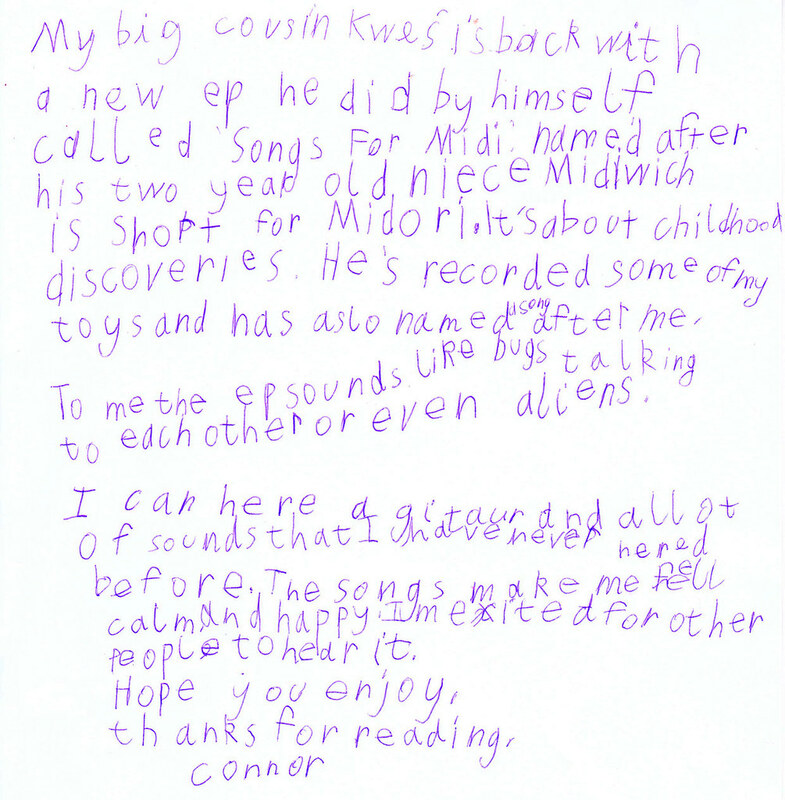 The first track taken from Songs For Midi is the opening 'Midori', and you can certainly hear the alien sounds that Connor is talking about. An entirely synthesized affair, with plenty of unusual noises and textures, 'Midori' manages to get across Kwes.' undeniable love for his niece without any words necessary. It's a song that takes you into a world of child like wonder and exploration, resounding with a joyousness that harks back to youthful carefree days. As a composition it is measured and engrossing, showing off all of the techniques and abilities that Kwes. has sharpened over the years working with all of those great artists; it's further proof (if it was necessary) as to why he's so in demand. Songs For Midi comes out through Warp on April 6th.